Get the latest style with the Alison Cork Back to Wall Close Coupled Toilet with soft closing seat. 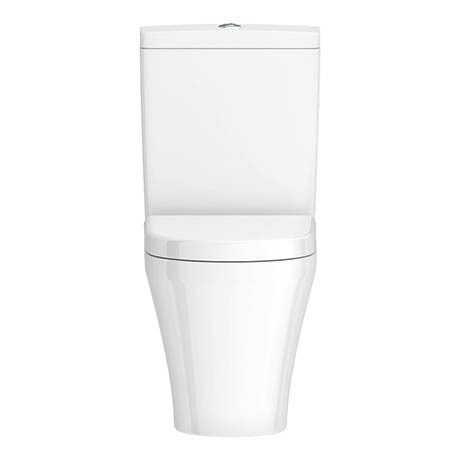 Features dual flush, ideal for saving water, and a top fix soft close seat which is easy to fit and remove for cleaning. It's perfectly suited to modern bathrooms, and its back to wall design means all the pipework isn't on show. This lovely BTW close coupled toilet has been handpicked by interior designer Alison Cork for our Boutique Chic collection.